A traditional shaped table lamp with a contemporary twist. 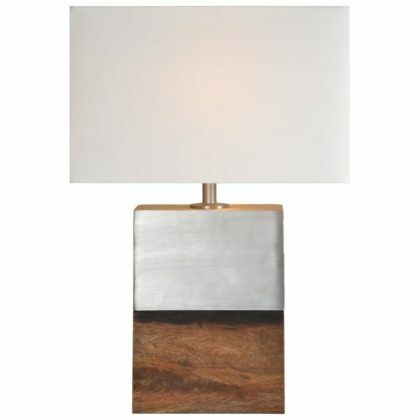 Created with natural mango wood and lustrous metallic silver iron. A rectangular off white cotton lamp shade completes the striking look of this beauty. 16" x 9" x 24.5"